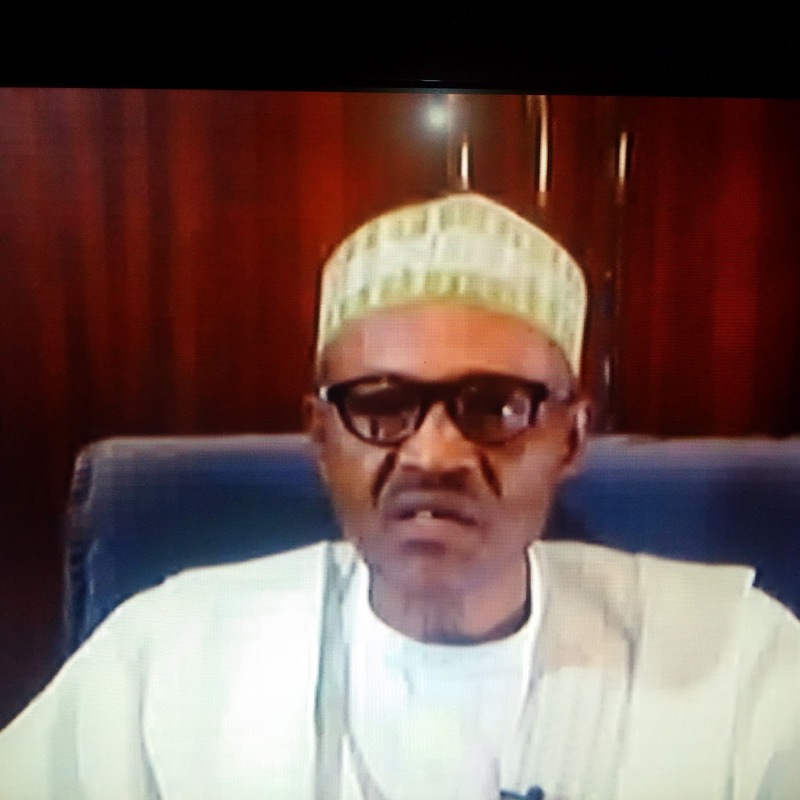 President Buhari this morning had a nationwide broadcast where he spoke on some national issues. One major thing on was on the ministerial list. According to him, the reason for the late delivery of the ministerial list was due to the lateness of the past administration to deliver to his administration their handover notes. “ Fellow Nigerians, there has been a lot of anxiety and impatience over the apparent delay in the announcement of ministers. There is no cause to be anxious. “We have seen in the last few years how huge resources were mismanaged, squandered and wasted. The new APC government is embarking on a clean up, introducing prudence and probity in public financing. At an early stage, the federal government addressed the issue of salary arrears in many states, a situation capable of degenerating into social unrest. The APC government stepped in to provide short-term support to the owing states and enabled them to pay off the backlog and restore the livelihood of millions of Nigerians”. Buhari, however, reassured Nigerians of his administration’s resolve to execute projects that would impact positively on their lives. He urged Nigerians to be patient and join the government to deliver on the dividend of democracy to the citizens, irrespective of their political affiliation. “I would like to end my address this morning on our agenda for Change. Change does not just happen. You and I and all of us must appreciate that we all have our part to play if we want to bring change about,” he said. Buhari noted that for positive change to take place, there must be a change in attitude in Nigerians as well irrespective of their political affiliation “We must change our lawless habits, our attitude to public office and public trust. We must change our unruly behaviour in schools, hospitals, market places, motor parks, on the roads, in homes and offices. To bring about change, we must change ourselves by being law-abiding citizens,” he said Buhari further noted that October 1 is a day for joy and celebrations for Nigerians "It is the day, 55 years ago, we liberated ourselves from the shackles of colonialism and began our long march to nationhood and to greatness. No temporary problems or passing challenges should stop us from honoring this day. Let us remind ourselves of the gifts God has given us. Our Creator has bequeathed to us numbers – Nigeria is the ninth most populated country on the planet,” he said. The president, however, observed that in spite of all the attributes of a great nation, Nigeria is not there yet because of the one commodity it had been unable to exploit to the fullest – unity of purpose. “This would have enabled us to achieve not only more orderly political evolution and integration but also continuity and economic progress. Countries far less endowed have made greater economic progress by greater coherence and unity of purpose. The fact that an opposition party replaced an entrenched government in a free and fair election is indicative of the deeper roots of our democratic system. Whatever one’s views are, Nigerians must thank former President Jonathan for not digging-in in the face of defeat and thereby saving the country untold consequences,” he said.